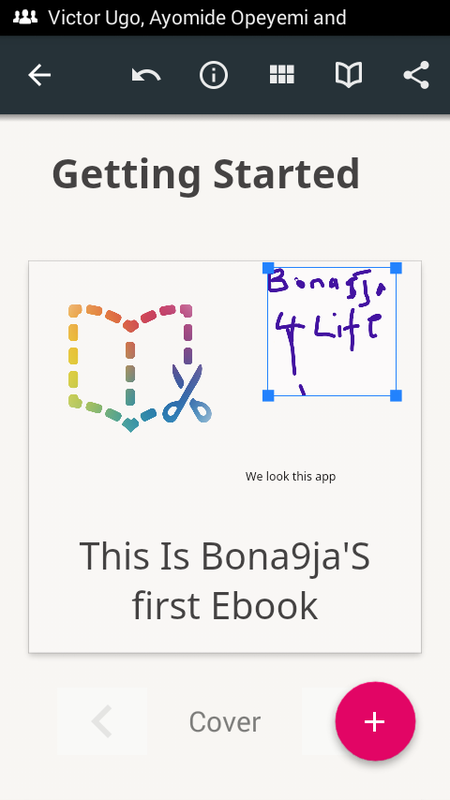 Create Ebooks Directly From Your Android Device. This Android E-book creator works exactly as the PC version.. It was well programmed and haven't experience any down side as of now... The only F-Up side of this app is that it requires you use an Android Tablet before you use it... But hey, no panic, I'll show you how to bypass that. Introducing 'Book Creator' your No1 app to create fancy E-books on Android. This apps is awesome and fabulous, it is bound and solving all your needs. Originally, if you search for this app on PlaysStore with a device other than tablet. You will get the annoying prompt 'Device not supported' but now I teach you how to bypass that ishh. 1. Launch your Google PlaysStore app and search for "Book Creator"
3. Select message as share target, copy the link starting with Http to end. 5. Paste the link @ the box you see and click on generate link. 6. 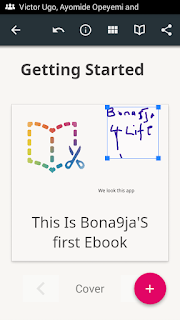 The link should generate, now scroll down and click on download... After Downloading install and start composing E-Books. Thats all you need. enjoy.